The hugely popular smartphone messaging service WhatsApp, acquired by Facebook for over $20 billion last year, has reportedly been found to be prone to hijacking without unlocking or knowing your device password, making its hundreds of Millions of users vulnerable to, not just hackers, but also non-technical people. This trick lets anyone surrounds you to get effectively control over your WhatsApp account. The attacker needs nothing more than a phone number of the target person and access to the target mobile phone for a few seconds, even if it is locked. Hacking Whatsapp account in such scenario is not hard for your friends and colleagues. This is not actually a loophole or vulnerability in WhatsApp, and rather it is just the way WhatsApp is designed and its account setup mechanism works. NOTE: Moreover, we aren’t encouraging users to hack others WhatsApp account, but the purpose of publishing this article is to warn and remind our readers that you should be extra careful to whom you lend your mobile phone and not to leave it unattended for longer durations with strangers around. The trick enables the offender to get full control over the victim’s WhatsApp account in no time and the most surprising part is that it independently works on all mobile platforms, including Android, Windows and Apple’s iOS. 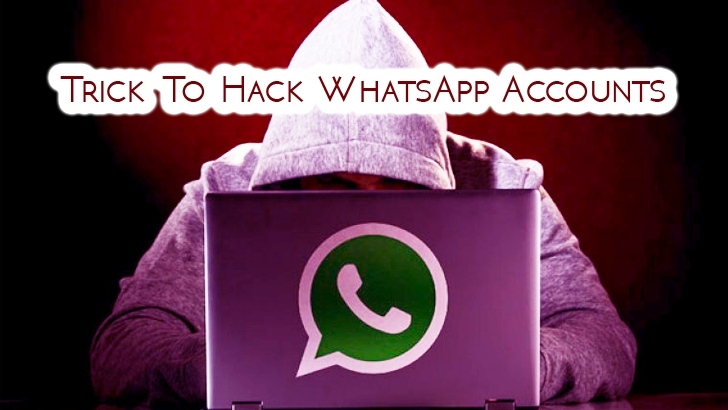 Here’s How to Hijack someone else’s WhatsApp Account? Begin by setting up a WhatsApp account on a new mobile phone using the phone number of your target. During the setup process, WhatsApp will call the target’s phone number and will provide a PIN that needs to be entered for the authentication of the account. If you already have access to the victim’s phone, you can just answer the phone call and grab the code with no efforts. Even if the victim has a lock screen enabled on the phone, you can receive the phone call to get the secret PIN. Using this known and simple trick your colleagues can hijack your WhatsApp Account easily. Things get even worse on iPhone if the users have configured their iPhones with Siri authentication for the lock screen, because all the contact details are available to access the Siri’s settings, effectively giving everyone access to their phone number without the need for a PIN. Thus, if you try to steal the account information of WhatsApp, without even having the phone number of the target user, you can just call your number from target’s phone using Siri. Just check the given video demonstration that explains the simple trick of taking control of anyone’s WhatsApp account.